Get the most competitive quotes on Albion, NY auto insurance by shopping with multiple insurance providers at once. Just enter your Albion, NY zip code above and we will compare quotes for you from the top car insurance companies in Albion. 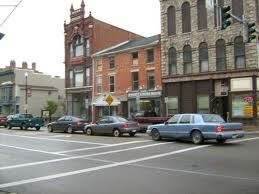 Alternatively, you can view a listing of auto insurance agents in Albion below and contact him/her yourself. Albion Agencies, Inc. provides auto, home, business, life, and long-term care insurance in Orleans County and the surrounding area. We’ve been around for a while (the agency has been in my family since 1919). We feel that our people are our greatest asset – courteous professionals who know that you expect and deserve the very best.